More than 1,600 people participated in the “90+ Study” research project aimed at identifying the factors of longevity. Every six months, starting in 2003, the volunteers underwent neurological and neuropsychological tests, as well as performing cognitive and physical tasks. The scientists also determined the subjects’ diet, physical activity, studied their medical history and the drugs taken. The results showed that those who drank moderate amounts of alcohol and coffee were more likely to reach 90 years of age than those who did not drink them at all. In addition, over-70 overweight people had a lower risk of death than subjects with normal or underweight weight. The researchers also found that over 40% of people over the age of 90 suffered from dementia and almost 80% were disabled. About half of the 90-year-olds have no cognitive impairment caused by diseases of the nervous system. The green coffee is a product consisting of common coffee beans which have not undergone the roasting process. This type of coffee, possessing a greater quantity of chlorogenic acid , has innumerable benefits. Chlorogenic acid is a powerful antioxidant that helps you lose weight quickly, allowing your body to quickly turn in fat and sugar ingested into muscle energy. Although there are no real scientific demonstrations, it would seem, moreover, that this coffee can help reduce blood pressure. 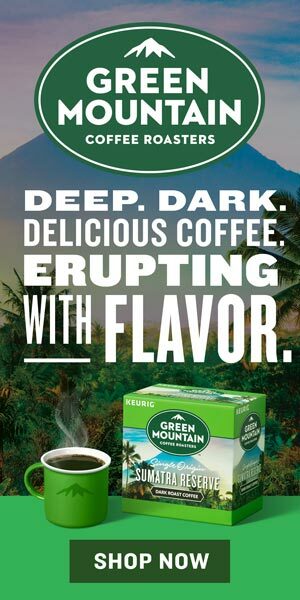 This coffee has innumerable nutritional properties such as vitamin B6, thiamin, riboflavin, niacin, calcium, magnesium, phosphorus, potassium and zinc. Benefits include reducing the absorption of intestinal sugar, lowering the level of free cholesterol , reducing fatty acids and reducing blood pressure. Furthermore, it seems to possess an excellent antioxidant effect, very similar to that of green tea. 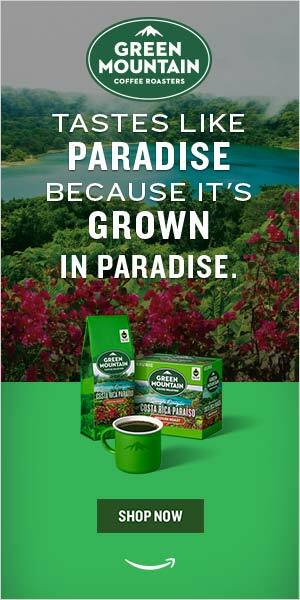 It is possible to take green coffee as a drink or in handy capsules , available on the market. To prepare the drink it is necessary to boil some water and add it to the coffee powder . You will leave for a few minutes, then going to filter everything. Finally, it will pour into a ceramic cup. Furthermore, this product is also available in sachets . The preparation will be the one made for a cup of tea. There are no specific contraindications deriving from the use of the substance. The presence of a small amount of caffeine can, in any case, annoy very sensitive subjects. Also, when taken in high doses, it can cause the same side effects as other caffeine-based beverages. As a result, intake is not recommended for those suffering from high blood pressure, irritable bowel, diarrhea, anxiety, diabetes. In addition, it may interact with some medicines, for this reason, it is always good to contact your doctor. This substance is not suitable for children and pregnant women . I congratulate you for the courage to carry on your ideas despite attacks a huge business that sees arm-in-arm psychiatrists and pharmaceutical companies. My name is *****, I’m 24 years old and I want to tell you my story very briefly, otherwise I could write a book too. From the age of 14 I went to wrong companies who occasionally approached me. I’ve been clean for a few years but I’ve started to suffer from anxiety and panic . Rightly as you say in one of his videos, what should I expect from my body? Health and vigor? … from the same time I take psychotropic drugs (I started to drug me in substance). Sometimes they made me feel good and just as bad. Today, like today, thanks to her who encouraged me, I have already implemented a plan to try to heal. I removed the coffee and I’m trying to remove the cigarettes (other drugs) and the “drugs”, combining food according to nature. Given his experience I ask, the scalare of cigarettes and psychiatric drugs I’m doing gradually to avoid strong crises, is this right or according to his thought it would be appropriate to consider them poisons take them out of a sudden? Although this would create a strong impact trauma (beneficial or not, I could be affected by the work I do). ROME – Concerned about the waist size? It is possible to make up for the excess food at Christmas. Fortunately, the strategies to be put on the field are there and neither are they impossible to follow, just a little consistency and good will. Word of the expert, Rosita Laurenti , director of the nutritional therapy and diet therapy ambulatory of the Istituto Dermopatico dell’Immacolata (Idi) of Rome. 1) During the holidays the calories that accumulate are really difficult to count. Where should we start again? The convivial moment is an unavoidable need for our sociality. Especially during the Christmas period, high-calorie foods rich in sugars and fats are consumed in abundance . Do not panic, even if we have accumulated a few pounds, we have the opportunity to get back in shape and offer a moment of relief and recovery to our body. Even before resuming normal habits allow us a period of ten days of detox diet, draining and antioxidant that allows us to get back in balance. 2) Which foods to favor? In the detox period avoid milk and yogurt . Choose green tea for breakfast , which has an antioxidant, lipolytic, metabolism accelerator, or barley coffee that has a diuretic action. Even the coffee makes the skin more toned and accelerates the absorption of fats , but be careful not to overdo it, in fact, if consumed in excess can cause tachycardia. To regularize the microcirculation and counteract the formation of cellulite, add to the breakfast foods rich in flavonoids and vitamin C, mainly present in berries (blueberries, blackcurrant, raspberries, fresh or jam) possibly combined with wholemeal rusks.Carbohydrates should not be eliminated, but it is advisable to avoid pasta and bread prepared with refined flours and to prefer those prepared with bran-rich whole wheat flour , whose trace elements are hair and nail friends; consume brown rice , an anti-gourd food that helps the intestines, or spelled pasta. Some types of wholemeal bread are enriched with sesame and poppy seedswhich contains gamma linolenic acid (GLA), which deeply moisturizes the tissues and fights skin dryness typical of the winter period, as well as wheat, cereals, chia seeds rich in unsaturated fatty acids omega 3 and omega 6, involved in the production of collagen and rilastine, which help the skin to regain a healthy appearance for protein intake instead of fish that are rich in unsaturated acids and noble proteins with a fatter and less digestible red meat. Among the best vegetables are the Belgian salad (purifying), fennel, chicory and zucchini for their diuretic activity, carrots (rich in antioxidants) broccoli, spinach and beetroot that have a purifying activity. A small concession we can make with chocolate, which contains magnesium and tryptophan, two allies against wrinkles because it is a source of relaxation and well-being, plus a good share of flavonoids, powerful antioxidants that oppose free radicals. Naturally, a further precaution to put into practice is to reduce the portions, the condiments, use only extra virgin olive oil and reduce the salt. Food can be made more appetizing by using precious spices such as turmeric or hot pepper. The foods to be banned during the detox period are different: first of all the cured meats that often peep out, like cooked and raw ham, bresaola, salami and so on. If you really can not give up the cheese, you must favor the fresh ones like the cow’s milk ricotta and avoid the aged cheeses that contain too much salt. Finally, reduce the consumption of alcohol, industrial foods and sweets. 4) Fruits and vegetables, how many portions should be consumed in order not to exceed above all the sugars? Every day two portions of vegetables and at least two portions of fruit are consumed. We must be careful to choose fruit of different colors to ensure the supply of various macronutrients. In order not to overburden us, we avoid too sugary fruit such as grapes, mandarins and dried fruit. We can choose kiwi, which in addition to being rich in vitamins A and E has excellent laxative properties. Among the fruits we remember the pineapple rich in bromelainwhich is an anti-edema and anti-inflammatory and opposes water retention. As for the apple, the fruit that inspired the famous saying ‘An apple a day keeps the doctor away’, is rich in vitamins A and C, trace elements, minerals. It also contains quercetin, which improves the absorption of oxygen and also has anti-aging properties thanks to flavonoids and polyphenols. 5) What role does hydration play? Do you think draining herbal teas are useful? There can be no diet without proper hydration. Above all, when we want to purify ourselves, we must take care to drink at least two liters of water a day. An infusion can offer a relaxing moment as well as help us to drain liquids. Excellent purifying properties are typical of dandelion teas, milk thistle, ginger and lemon while the artichoke extracts help digestion. REDUCING the amount of sugars consumed daily is important for maintaining health. But replacing coffee sugar with other sweetening substances is not as decisive as one might think. According to an analysis of 56 scientific research on the subject and published in the British medical journal , the consumption of sweeteners instead of sugar does not seem to bring health benefits. More and more people are aiming for healthy lifestyles, practicing more sports and reducing sugar and fat intake. Today it is common knowledge that a healthier life protects from the onset of any complications. The market for sugar-free and sweetened drinks containing aspartame or stevia is also on the wave of this attention. Even if they are authorized products, little is known about the actual benefits or possible risks of their daily consumption. According to the authors of the study, the literature that until now has been interested in the subject has often been the victim of partisan interests. “Research on sweeteners is controversial. There are numerous studies that say they are bad for health, while others reassure. The latest news from the European Food Safety Authority (EFSA) tells us that they are safe. This does not mean that, like all foods, they must be consumed in moderation. – says Manon Khazrai , nutritionist and nutritional counselor – Sugar is not the most healthy food in the world. In recent years we have introduced it more and more strongly in our diets in the form of sugary drinks and juices, also taken as an alternative to fruit. In a balanced diet, simple sugars should not exceed 15% of total daily calories “. To help us keep the calories under control without giving up the comfort of sweetness, we have therefore developed substances with a much greater sweetening power than sugar. “Sweeteners can be either natural, like stevia or fructose, or synthetic like aspartame. There are many, and they are generally used for a matter of taste, like covering the bitterness of coffee and tea. For someone else instead the aftertaste of sweeteners is even worse and remain faithful to sugar “. From the results of an analysis of 56 independent studies evaluating the possible effects of daily consumption of sweeteners on weight, glycemia, oral health, tumors and other diseases, it appears that in general there are no significant differences in health status compared to those who instead consume sugar. Although perhaps, in some cases they could help those who are used to eating in large quantities. “Too many sugars in the blood cause the body to produce a lot of insulin, which eliminates it from circulation very quickly, pushing us to take even more. The more we introduce it, the more we need it, in other words. Using sweeteners can help break this cycle, if we are used to drinking lots of sweetened drinks, instead of eliminating them completely, we can start by taking “light” ones. – suggests the doctor – Although it has been denied that sweetening substances can negatively influence the metabolism, they are not the solution to the problem of diets. It is not just the intake of sugars that affects food health or obesity. We need to look at the lifestyle as a whole, move around, change the diet, educate the children for proper nutrition from the beginning, not make them associate some types of food with a prize for behaving well. At that point, if you occasionally sugar a little more, coffee does not happen “. We need to look at the lifestyle as a whole, move around, change the diet, educate the children for proper nutrition from the beginning, not make them associate some types of food with a prize for behaving well. Welcome to Ferra Coffee Roasters. We are your first and last stop when it comes to coffee. We like to drink it, and we like to blog about it. I give Ferra Coffee Roasters permission to collect and use my data submitted in this form.